Going back literally thousands of years, this is very probably the grave site of an important figure of the time. Wales offers many glimpses into the distant past with graves such as this and standing stones. As an American, I am completely awed by such things, as our recorded history only goes back several hundred years. To see something that was created thousands of years in the past and still existing much as it had probably been created is absolutely awesome. 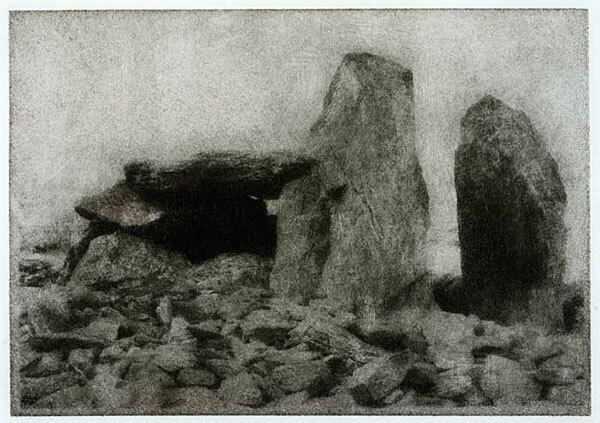 This entry was posted in Alternative Process, Bromoil, Infrared and tagged Alternative Process, Bromoil, grave, standing stone, Wales. Bookmark the permalink.